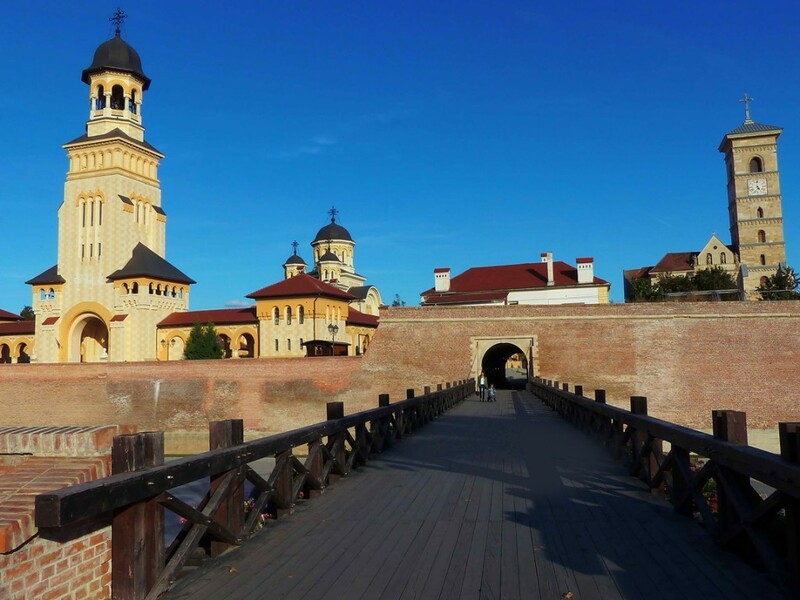 Today’s journey is about discovering two milestones in the Transylvanian history: Alba Iulia and Sibiu. 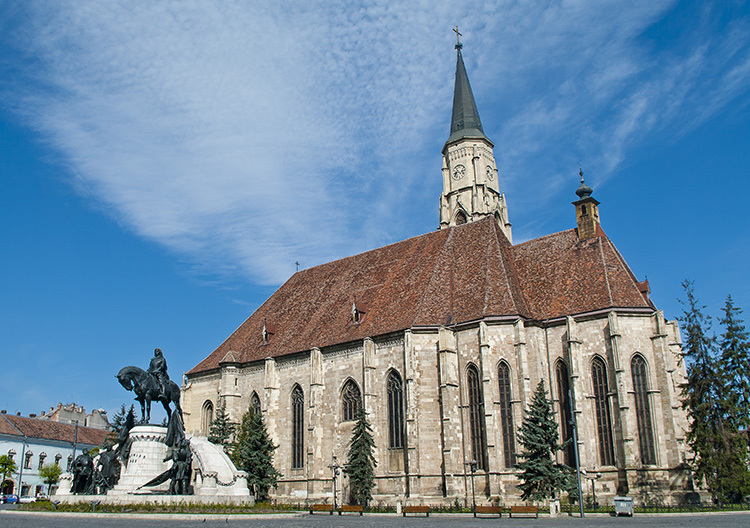 Departing from Cluj at 9 A.M., we will drive approximately two hours to reach Alba Iulia. Founded by Roman colonists in the 2nd century AC, it was not only the main point of an important commercial route, used to bring gold from the mountains, but also the place where the gold was prepared for shipment to Rome. 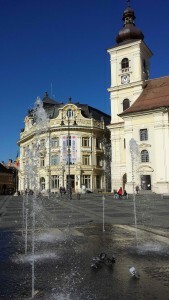 The city had to have three temples, a forum and hundreds of administrative and private buildings; some of their ruins have been restored in the past years and can be visited today. 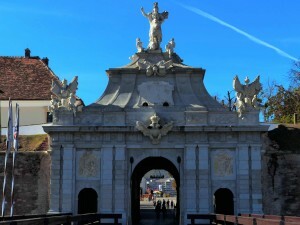 Following the Hungarian conquest of the region, the city was rebuilt in the 10th century, becoming one of the religious centers of the country. 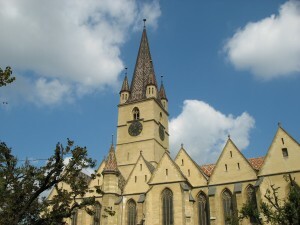 The catholic cathedral, dating back to the 10th century, is the oldest church in the country and is a unique architectural treasure, combining Romanesque, Gothic and Renaissance styles. Many rulers and bishops were buried here, among them, Johann Hunyadi, the prince of Transylvania and father of the Hungarian king Mathias Corvinus. As a sign of religious tolerance, just a couple of meters away, you can find the orthodox cathedral, built in the 1920s especially for the coronation of the Ferdinand and Maria, king and queen of Romania. 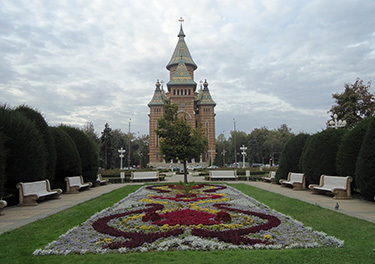 The architecture is typical for the Romanian-orthodox churches. Among so many highlights, probably the biggest one is the Austrian Vauban citadel, built in the 18th century, almost unspoiled until today. At noon one can witness the changing of the Austrian guards, including a parade with old costumes and horses. 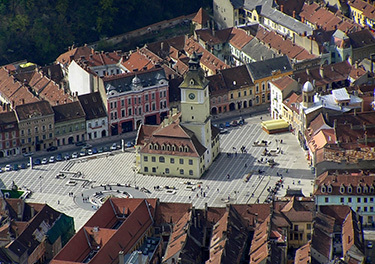 Departing from Alba Iulia, we will drive to Sibiu. The city was founded by German colonists in the 12th century and has been the central point of the Transylvanian Saxons ever since. 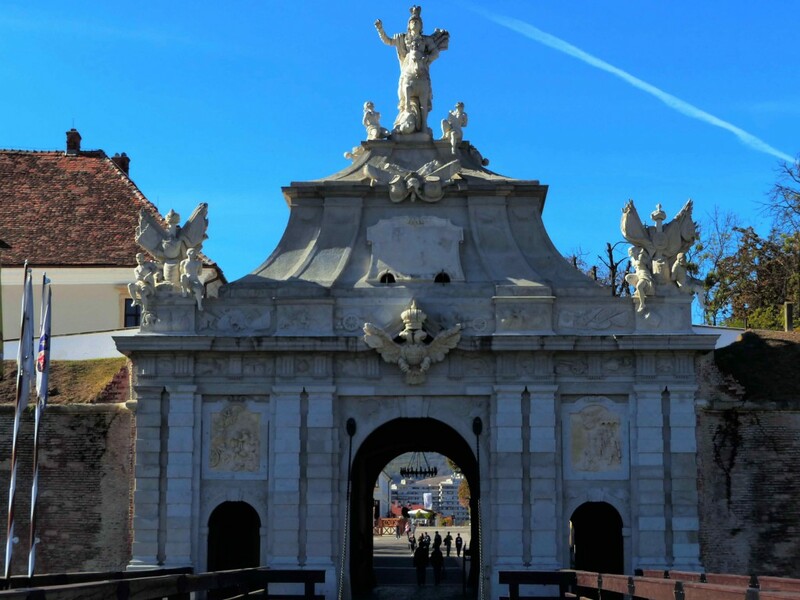 An Italian chronicler of the 16th century named the city “not much bigger then Vienna”… We invite you to discover the three main squares, with the patrician palaces, the guilds residences and the workshops of the craftsmen, the medieval fortification walls and defensive towers, of which many have survived until today. 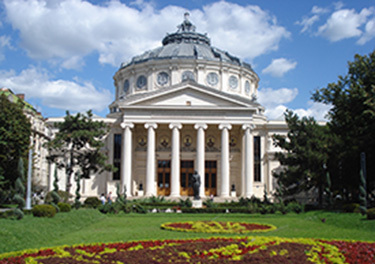 Or you can just relax with a glass of fine Transylvanian wine… The local museums are also worth a visit – the most important one is situated in the former palace of Governor Samuil von Brukenthal, and hosts art unique pieces of art, such as paintings of Titian or Peter Breughel. 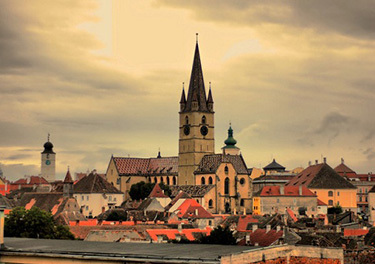 In the evening we will return to Cluj.